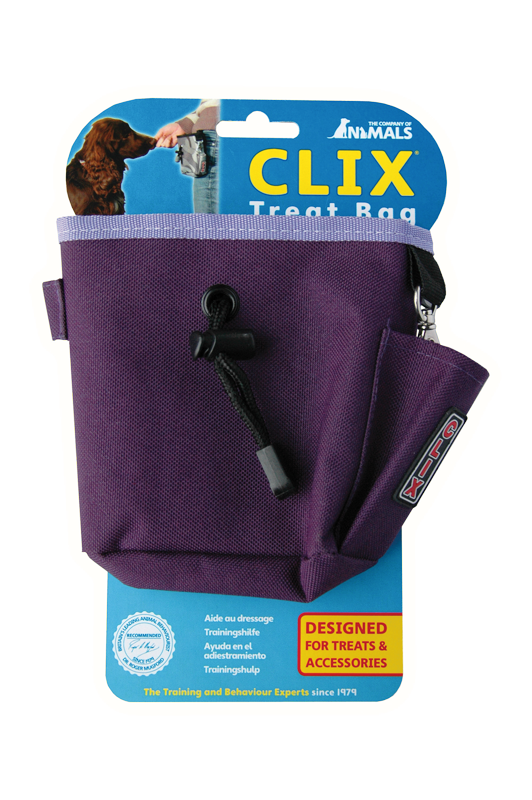 A must for the fashion-conscious dog trainer, CLIX Treat Bags have many useful features. 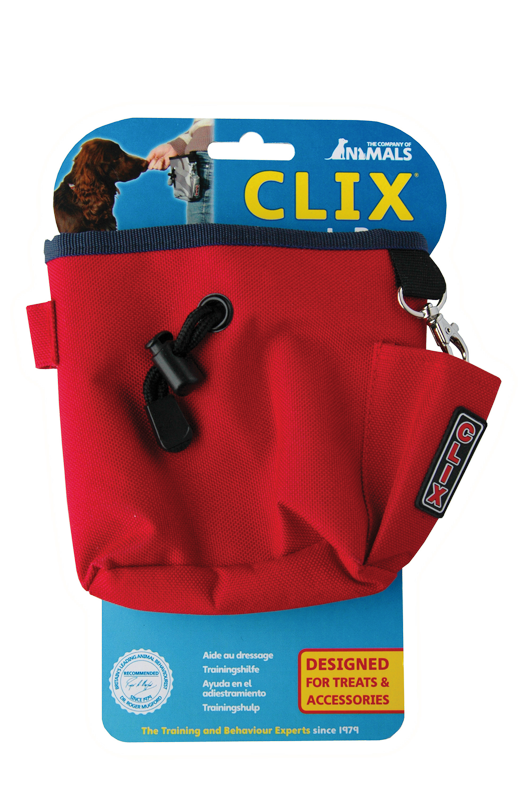 A wide opening allows easy access to treats, while the drawstring closure ensures that it is rain and dog proof! There is a separate zipped compartment on the back of the treat bag, which can either be used for storage of treats or personal items. 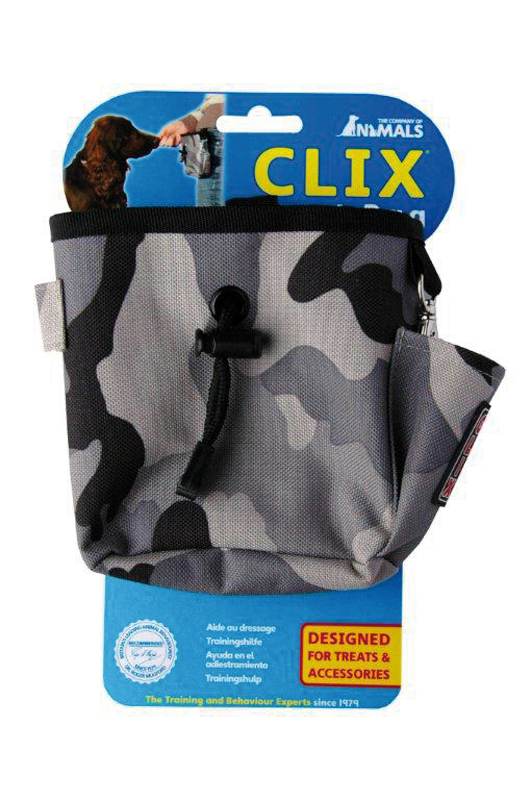 The treat bag comes equipped with ‘Multi-Clicker’, ‘Target Stick’ and ‘Whistle’ holders to ensure you can keep all the essential equipment to hand. There are two methods of attachment, by using either the clip or belt loop fittings.